Here at Hog Master we are getting ready for the Easter weekend which I am sure is going to be Eggisting. As well as people receiving Easter Eggs or Easter Bunnies they may be receiving a Easter gift that can be used all year round and for any event you want. Yes I am talking about a hog roasting machine The Hog Master. The Hog Master can be a Birthday present, Christmas present, Easter present or a random present. The Hog Master can be used all year round for an occasion. Nothing beats a good old fashioned Hog roast or even a Spit roast or even a BBQ. If you look on our Home Page and look at the changing pictures all 3; Spit Roast, Hog Roast, BBQ looks truly amazing and so beautiful just like the taste, the taste is unbelievably good I defiantly recommend you in your life time try a hog roast. Furthermore trying it and roasting a pig yourself is a thrilling experience plus the look of amazement on your family or friends faces when they see you roasting a pig is great. 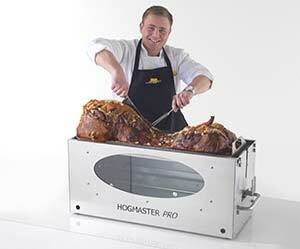 You will be the talk of the town this Easter if you hog roast this Easter with a hog roasting machine like the Hog Master. The Hog Master is the best hog roasting machine out there to date. It roasts perfectly and the results are heavenly, you will not get a better cooked piece of meat than one that has been roasted by the Hog Master. The different attachments that you can use on the Hog Master will change your roasting experience and take it to the next level from; Hog Roasting Try, Spit Roast Pole, Barbeque Kit. The Hog Master Accessories work in perfect harmony with the Hog Master and the Hog or whatever food you are cooking or roasting and roasts or cooks it beautifully and to perfection. 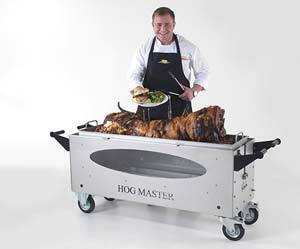 Hire or Buy a Hog Master today or this Easter and take your culinary skills to the next level and show of to family and friends and prove you are the best friend, or best son or daughter with an enlightening experience. You will not be disappointed this Easter and neither with family or friends with whatever meal you decided to cook up. Give your family something else than just Easter Egg or money give them a Hog Roast they will want again and again.